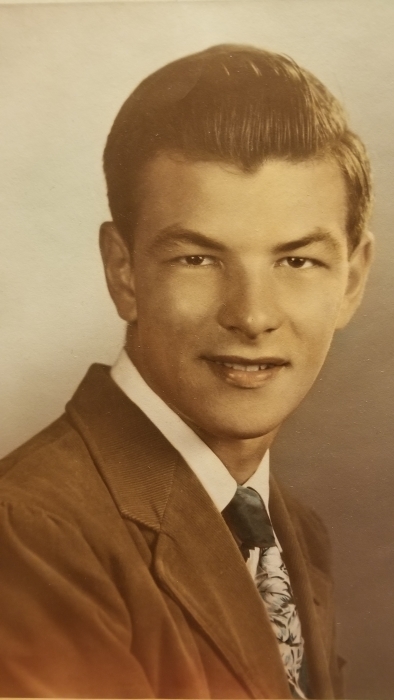 Robert “Bob” Charles Brummett, Jr 83, of Ocala, Florida passed away peacefully surrounded by family and love on January 12, 2019 in Ocala, FL. He was born February 14th, 1935, a Valentine baby, in Jeffersonville, Indiana to Ruth Cain Brummett and Robert Charles Brummett, Sr. Bob grew up in Southern Indiana and graduated from Jeff High School. He has maintained a close friendship with many of his school friends. For over 30 years Bob worked as a driver for Greyhound Lines prior to his retirement. Never being one to sit still, he then traveled the country for another 30 years delivering new motor homes with Horizon Transport. During his many years of travel Bob never met a stranger and was always ready to share a funny story to brighten someone’s day. Bob never shied away from helping those in need and was always ready to lend a hand. Bob was preceded in death by his parents, his sister Jeannie Kopp, brother Bill Brummett and his son Robert “Bobby” Brummett III. He is survived by his loving wife of 46 years Jeanne Brummett, sons Brian Brummett, Dr. James Brummett and Dr. Taylen Peaden, daughters Becky and Jim Mincey, Bonnie and Tom Bayer, Brenda Brichant, as well as 14 grandchildren, 9 great grandchildren and numerous nieces and nephews. Brothers Dale and Janet Brummett, Jim and Ceil Brummett and Gail Brummett. All of which meant the world to him. He will be greatly missed by many. A time of visitation will be held on Wednesday January 16, at Robert’s Funeral Home in Dunnellon, Florida, from 5-8. Funeral services will be held Thursday 11 am, January 17, at Robert’s Funeral Home in Dunnellon with a brief graveside service to be held at Pleasant Hill Cemetery in Morriston on CR326.